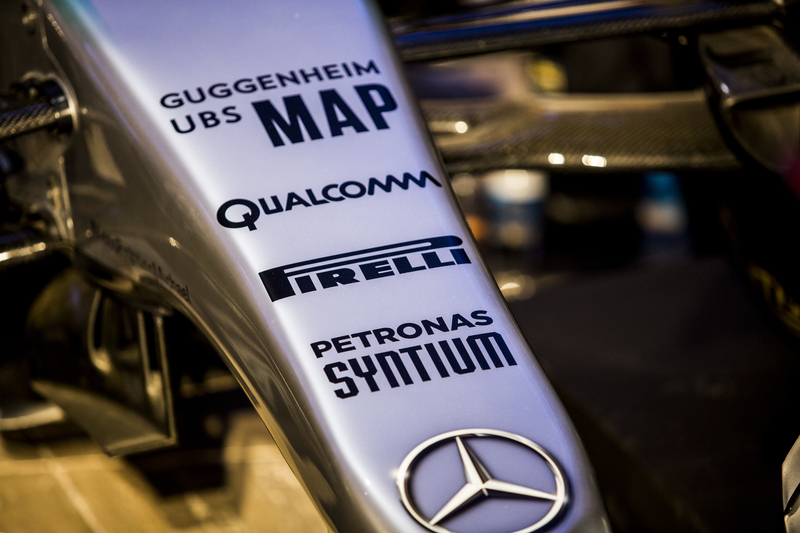 The Guggenheim UBS MAP Global Art Initiative opens on November 19 at the Jumex Museum; The Mercedes AMG Petronas W06 will carry the logo of project, which was unveiled at the Jumex Museum, before the weekend of the race. The Mexico Grand Prix Formula 1 ™ returns this weekend after 23 years absence, and on November 19 the exhibition Guggenheim UBS MAP Global Art will open Initiative: “Under the Same Sun: Latin American art today” in the Jumex Museum. At a press conference to present both events, Damian Fraser, Representative UBS Mexico; Toto Wolff, CEO of Mercedes Benz in Formula 1 ™; and Nico Rosberg, They unveiled the car that will compete in theMexico Grand Prix, bearing the logo of Guggenheim UBS MAP project.